What is a Slide-in Bathtub? A slide-in tub is a bathtub with a a chair-height seat inside and a door in the sidewall that permits a bather to enter through the side of the tub. When the door of a slide-in tub is open, one side of the bath seat is exposed, allowing a bather direct access to the seat inside. Slide-in Tubs Versus Walk-In Tubs: What’s the Difference? Before we delve into detail about the different types and features of Slide-in Tubs, it will be helpful for you to be aware that there are two types of tubs that have a door located in the side wall, namely: Slide-in Tubs and Walk-in Tubs. These two tub types are similar in most respects, but there is one critical difference, which is: upon opening the tub door, a user of a slide-in tub has direct access to the seat inside, whereas a walk-in tub user does not. For further clarification, see the pictures and descriptions below. Walk-in Tubs have a narrow doorway located at the front end of the tub, a threshold (usually several inches tall) to step over, and high walls that are permanently attached like bookends to either side of the seat. A bather can’t directly access the bath seat inside, which limits a user to one means of entering and exiting the tub, namely: to walk (step) in and out. A slide in tub’s door opens up to expose one side of the chair-height bath seat inside. 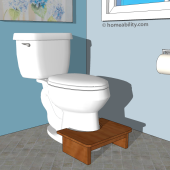 A user can sit down on the side of the seat first, then raise one leg at a time over the threshold, erasing the need to “step” into and out of the tub. It also allows a person who uses a wheelchair to slide sideways from their wheelchair seat to the tub seat. The guide below provides an overview of Slide-In Tubs and their features. If you would prefer to learn more about Walk-in Tubs, visit our guide titled Walk-in Tubs: Get the Facts. First: “Why is it Called a “Slide In Bathtub”? 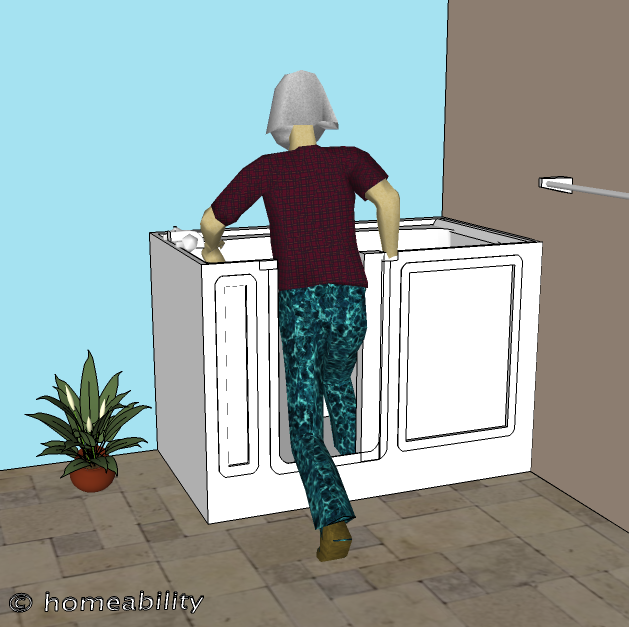 A person who walks has the option to sit down on the side of the bath seat first and once safely seated, slide (pivot) their hips to face the front of the tub while lifting one leg at a time over the threshold into the tub. A person who uses a wheelchair can park their chair beside the tub and slide sideways from the wheelchair seat to the bath seat inside. All slide-in tubs have one thing in common: a chair-height seat inside that a user can directly access upon opening the door. Slide-in tubs models will differ in a variety of ways as well. Two key ways they differ include: door type and whether the tub allows a bather to sit up or lie down. Most Slide-in tub models are designed to be used by a bather who is sitting in an upright seated position. They have a molded chair-style seat inside the tub, allowing for an upright, seated bathing experience. Some models are available for users who prefer to lie down. The entire bathtub floor is raised to chair height, which allows a bather to lie down while soaking in the bath. Most slide-in bathtub models have doors that open outwards, like a car door. Prior to ordering a tub with an outward-swinging door, confirm that the door will clear the toilet, vanity and other fixtures in your bathroom. Some Slide-in tub models have a door that moves up and down and of those that do, some have a door which is fully automatic that is operated at the push of a button, while others require the user to provide some manual assistance to aid in pulling the door up. The door on Slide In Tub models not only differ in the direction the door moves (outwards, upwards, or sideways), but will also differ in whether the door is manual or electric. Some models have a lever handle that is designed to be opened manually by you, while others have an electric door that opens and closes via the push of a button. Slide-In Tub models with a door that is designed to be opened and closed manually are, in general, a much safer option because there is less than can go wrong. A model with an electric door can be beneficial for some persons with severe physical limitations, but it has inherent drawbacks: a mechanical failure or power outage could prevent the door from opening. 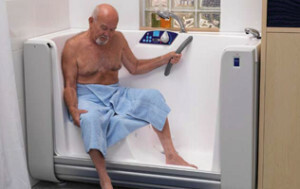 If you do purchase a slide-in tub model with a door that is reliant on electricity, it is advisable to have a caregiver present in the home while you are bathing, to always have a portable phone in reaching distance of your tub, and to also consider purchasing a back up generator or a UPS (Uninterruptible Power Supply) for your home to help ensure you have adequate power to operate the door when the electricity is off. You certainly don’t want to be stuck inside the tub until the power comes back on! Is a Slide-In Bathtub Right for You? Slide in tubs are a viable consideration for almost everyone because they allow great versatility in the methods a bather can opt to use to transfer into and out of the tub. Most slide in tub models allow for the first four means of entering and exiting the tub identified below. Some models allow for #5 below (transfer via a portable patient lift), as well. Are you able to walk steadily? 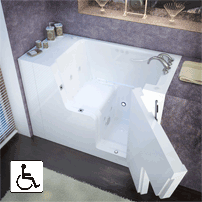 If so, it is possible to step in and out of a slide-in tub that is designed for seated users. Do you have difficulty with balance? If so, you have the option to forego stepping in and can instead simply back up and sit down on the seat, just like sitting on a regular chair. Then, once safely seated, you can raise each leg one at a time into the tub. Do you rely on a wheelchair? If so, you can slide sideways from the wheelchair seat to the bathtub seat. Do you rely on a ceiling lift to assist you with transferring between surfaces? 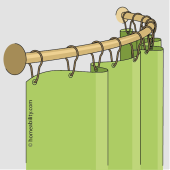 If so, it is possible to install a track on the ceiling above the tub and use it in conjunction with a waterproof sling to transfer into and out of a slide-in tub. Does a caregiver assist you to perform transfers using a portable patient lift? If so, some (but not all) slide in tub models can be used in conjunction with a portable mechanical patient lift. Models that can be used with a portable patient lift have a pre-existing space or a panel at the bottom edge of the tub that can be removed to allow the legs of the lift to slide underneath. Keep reading below to learn about pros, cons, and additional aspects to take into consideration when you are assessing whether a Slide-In Tub is suitable for you. Slide-in Tubs, like almost everything in life, come with both pros and cons, which means you will need to determine if the pros outweigh the cons, given your own unique situation, needs, and preferences. Easy Access: This type of tub makes it easier for users of varying ability levels to enjoy a warm, soothing bath. Future-Proof: Due to the versatility in transfer styles these tubs allow, this type of tub can make it possible to enjoy the pleasure of soaking in a hot bath until age 100 and beyond. Wait Time: You cannot pre-fill the tub with water because if you did, you would flood the bathroom when you opened the door to climb in. So, in other words, you must enter the tub first and then sit naked patiently waiting for the tub to fill up. At the end of the bath, you will have to sit naked and wet patiently waiting until all the water has drained out before you can open the door and exit. Higher Utility Bills: If you use the tub regularly, your utility bills will increase due to the amount of water it takes to fill the tub and the electricity required to heat the water. Maintenance: The door seal will periodically need to be replaced over the years. If the model has an electronic door, then it can be assumed the components will need intermittent maintenance. These are 3 important considerations to take into account as you are scrutinizing various Slide In Tub models. Are you replacing an existing tub or shower with a Slide-In Tub? If so, it is important to choose a Slide-in Tub model with a drain that is located on the same side of the tub as your existing drain, or else you will need to invest more money to have the plumbing modified, which may not be readily easy to do. Most slide in tub models can be selected with a drain that is located on the right or left side of the tub. Once you have selected a tub with a drain that corresponds with the location of your bathroom’s existing plumbing, make sure to confirm that the bath seat’s position and the direction the door opens are also viable for your bathroom configuration. As a general rule of thumb, the tub’s seat will be located opposite the drain, so if the drain is on the right side of the tub, the seat will be on the left and vice versa. As you are assessing the various tub models, make sure to take into account the amount of seat that is exposed when the door is opened. The side of the seat is nearly fully exposed on some models and only partially exposed on others. The amount of seat that is exposed will affect how easy it is too transition onto and off of the seat from outside the tub. 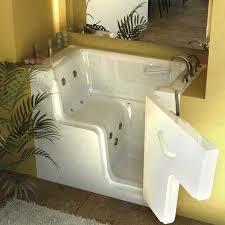 Do you plan to purchase a Slide-In Tub model that will hold you in an upright seated position? If so, the location of the door handle is an important consideration. Models that hold a bather in an upright seated position have a chair-height bath seat inside with a footwell present in front that is located near ground level. It is possible to slip down and become trapped in the footwell area. If you are someone who experiences trouble standing up from a standard height chair, then it is likely you would find it difficult or impossible to get up from the floor of the tub. If you plan to bathe independently (no caregiver present), it is highly advisable to select a tub model with a door handle/controls that you know you will be able to reach if you were to find yourself unexpectedly seated on the tub floor, thereby making it possible for you to open the door and escape the confines of the tub. 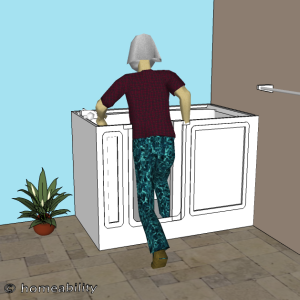 The location of a Slide-in Tub’s door handle/controls varies model to model and may be located inside the tub, on the top edge of the tub door, or may be a lever fixed to the outside of the door. Water Jet System, Air Jet System, or Soaking Tub? Some, but not all, slide-in bathtubs can be ordered with a water jet system, air jet system or as a basic soaker tub. The following are pros and cons for each. Pro: Jets provide a strong water flow that can provide a massage-like effect for aching muscles and joints. Con: The water pressure may feel too strong for persons with fragile skin. Con: Water is recycled through the system, so the use of oils, scents, soaps and shampoos typically isn’t recommended. Con: Residual water left in the water jet system has potential to grow mold or bacteria, which poses a health risk for individuals with a compromised immune system, respiratory problems or susceptibility to pneumonia. A model that additionally offers a self-purging feature may help to reduce the likelihood of bacteria growing in the lines. Pro: The air jet system creates a gently bubbling bath giving a bubble bath effect. Pro: Water does not recycle through an air-jet system, so you can potentially use some types of oils, scents and soaps in the water. Confirm with the manufacturer which, if any, products can be used. Con: Although water does not get recycled through the lines, there is still a possibility for mold and bacteria to grow. Experts recommend running the air jets after the tub is empty to help dry the tub and reduce the risk of mold and bacteria growth inside the lines. Con: The air bubbles do not provide a massage-effect like the water jets do. Pro: Less expensive than air and water jet systems. This type is equivalent to soaking in a hot bath in a standard bathtub. Pro: Soaps, oils and shampoos can all be used (unless otherwise specified by the manufacturer). The tub frame can be made of wood, aluminum or stainless steel, with stainless steel being the strongest of these three options. The molded exterior layer of the bathtub can be made out of acrylic, fiberglass, or sometimes a combination of the two. Some of the pros and cons for acrylic and fiberglass tubs are described below. Fiberglass Tubs: Fiberglass models tend to be less expensive than acrylic tubs. Fiberglass is a strong, durable material, but in comparison to acrylic, it is more porous making it more prone to stains, scratches and cracking than acrylic tubs and also more prone to losing the color and glossy finish with time. Acrylic Tubs: Acrylic tubs are said to be more durable, color-fast, and better at withstanding cleaning and wear and tear over the years than fiberglass models. If, however, an acrylic tub is scratched or chipped, it is said to be more difficult to repair a blemish to make it look like the original surface, than with a fiberglass tub. 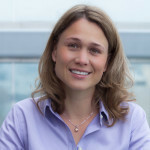 Slide-in Tubs: More Important Considerations! User Height: If you are extremely tall, the slide-in tub models that are designed to support a person in an upright seated position are probably not an ideal solution, unless your main intent is to soak from your waist down. User Weight: Confirm the maximum weight limit is appropriate for your needs, prior to ordering. Seat Height The seats have a fixed height, which can vary from model to model, so make sure to confirm the seat height of the model you select is suitable for your needs. If you will be transferring from a wheelchair, the height of the tub seat should match the height of your wheelchair seat as closely as possible to allow for an easier transition between surfaces. Tub Size: The salesperson may try to tell you a ‘larger tub is better’, but keep in mind that the larger the tub, the longer it will take to fill and empty. 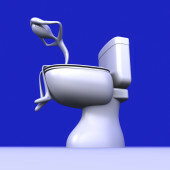 Drain Height: Make sure to ask how high the overflow drains sits above the seat, especially for a seated model. In some cases it can be rather low, meaning the water may only fill to about your waist level, which is probably not what you had in mind when you set off to buy a bathtub for a nice, fully submerged soaking experience. Drain Control: Confirm how the drain system itself works. Does it have a chain and stopper combination that you would need to be able to reach down to the floor to operate or does it have a knob or a button to push, which can be accessed from a seated position? Time to Fill and Empty: Models will vary in the time it takes to fill and empty, but on average it will require 6-15 minutes to fill and empty depending on your home’s water pressure and plumbing. Some manufacturers offer a high flow faucet feature for helping to fill the tub more quickly and an enhanced drain system for helping to empty it more quickly. Note that your home’s existing water pressure and piping system will affect the filling and draining speeds, so it is possible that no matter what you add it may still fill and drain slowly. Handheld Shower Head: Some models automatically include a handheld shower head, while others require you to purchase it separately. It is beneficial to have a handheld shower head, because it allows you to start showering while you are waiting for the tub to fill. Water Retention:If you plan to use a handheld adjustable showerhead, consider installing a shower curtain around the upper portion of the bathtub to help contain the water. Consult With Your Doctor: If you have a chronic medical condition, you should talk with your medical doctor prior to purchasing a slide-in bathtub to ensure it is not contraindicated for your medical diagnosis. What is the Cost of a Slide-in Tub? Installing a slide-in tub will cost on average between $5-$20,000. This includes the cost of the tub and installation. Models with a door that can be opened manually tend to be cheaper. Models with electric doors tend to be more expensive. If you are on a fixed budget, make sure to also factor in the following potential costs when you are deciding whether or not to buy a slide-in tub. Water Heater: Confirm that the size of your water heater can support the higher water demands of the slide-in tub. If it cannot, you will need to replace your water heater. This can cost on average $800-$2,000. Does it fit?! : Confirm that the dimensions of the tub you select will fit through all the doorways and hallways between the outside of the home and the bathroom. If it does not, you will need to pay to have one or more of the doorframes removed and reinstalled to get the bathtub into the bathroom. Structural Support: Your bathroom floor may require extra structural support to manage the weight of the tub. 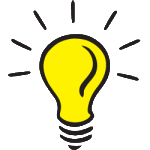 Electrical & Plumbing: It is likely that you will need to have your electrical or plumbing modified to support the tub. Maintenance: The door seals and/or other parts will require maintenance over the years. Utility Bills: Your monthly water and electric bills will increase. Heat Lamp: It can be cold at the beginning and end of the bath while waiting for the tub to fill and empty. You may want to consider adding a heat lamp on the ceiling above the tub to help you stay warmer during these times. Will Insurance Cover a Slide-in Style Bathtub? 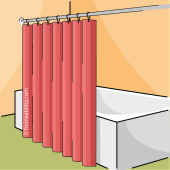 Medicare: Medicare does not consider a slide-in tub to be a medical necessity and therefore it is not a piece of equipment they will normally cover. However, if you can prove you cannot function without a slide-in tub, Medicare may reimburse some of the cost. You will need a doctor to write a “Letter of Medical Necessity” stating why it is critical for you to have a slide-in tub. Medicaid : If you have Medicaid you have a better chance of getting it covered, but the ability to do so varies by state. Check with your Medicaid representative. Check for Certifications: One or more of the following certifications indicates the tub has passed certain minimum accepted functional and safety standards: IAPMO (UPC), ASME, or CSA certification. Check Reviews: Prior to making your final decision on a tub model, check both the bathtub model and the manufacturer’s name online in conjunction with the word “reviews,” “complaints,” and “scams,” to ensure that there isn’t a negative review history. Be aware that researching these tubs can be quite difficult because the accessible bathtub industry is notorious for having some dodgy review websites. We recommend you educate yourself about some of the scams and shady practices going on in the accessible bathtub industry to help best ensure you don’t fall prey to them. To learn more, click here. Test It! If You Can: It is difficult to find showrooms that display slide-in style bathtubs and next to impossible to find a showroom that has more than one or two models of a slide-in style tub on display, so it is wise to start your search online. Once you have narrowed your search down to the one or two you like most, call the manufacturer to ask if they know of anyone who has one on display locally. If you can find one on display, jump in and try it out. Make sure the seat is a good height, that you can reach all the controls from a seated position, and that you can easily manage the door controls. Warranty: Bathtub manufacturers will rarely cover labor costs if repairs are needed, so it is strongly recommended that you use a professional installer who will warranty the work. Ask to see their contractor’s license and proof of insurance. Confirm the insurance covers not only them, but all of the workers who will be involved with your project. Who Can Benefit from a Slide-In Tub? want to take a soaking bath, but can’t get up from the bottom of a standard-style bathtub. Regardless of the type of tub you choose, we recommend you always have a portable phone in reaching distance of your tub just in case there is a mechanical failure. Or better yet, consider installing a phone permanently on the wall beside the tub to prevent needing to remember to bring a phone into the bathroom with you every time you bathe.